Since my family has decided to increase our vegetables in meals and reduce excessive carbs, I do a lot of cutting, slicing, and dicing in preparing meals. 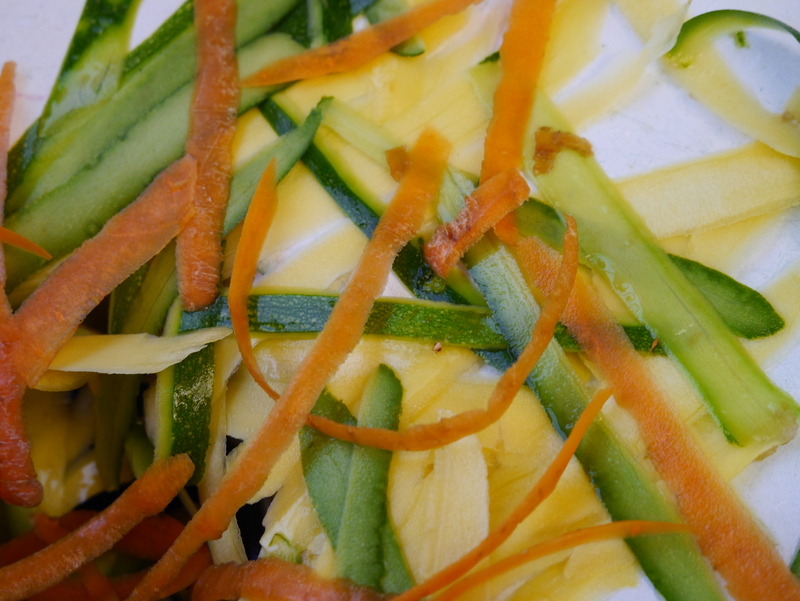 Considering my longer time in the kitchen, I treated myself to a julienne peeler which has added variety to my preparation of salads and vegetables and given me some creative avenues. The julienne peeler is great. 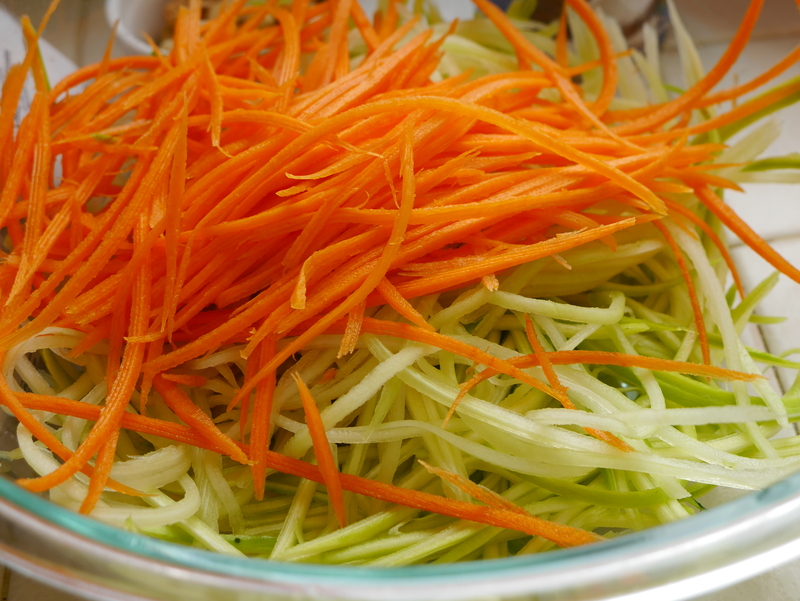 You just peel your chosen vegetable and then use the julienne peeler to quickly pare off beautiful strands of vegetable. My husband is fussy about cleaning it and I’m fussy about who gets to even LOOK at my new kitchen toy, a marriage made in heaven.